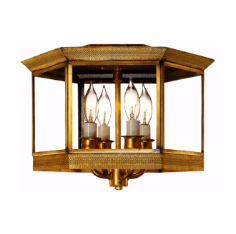 Why settle for big box store cookie cutter lighting for your one-of-a-kind home? 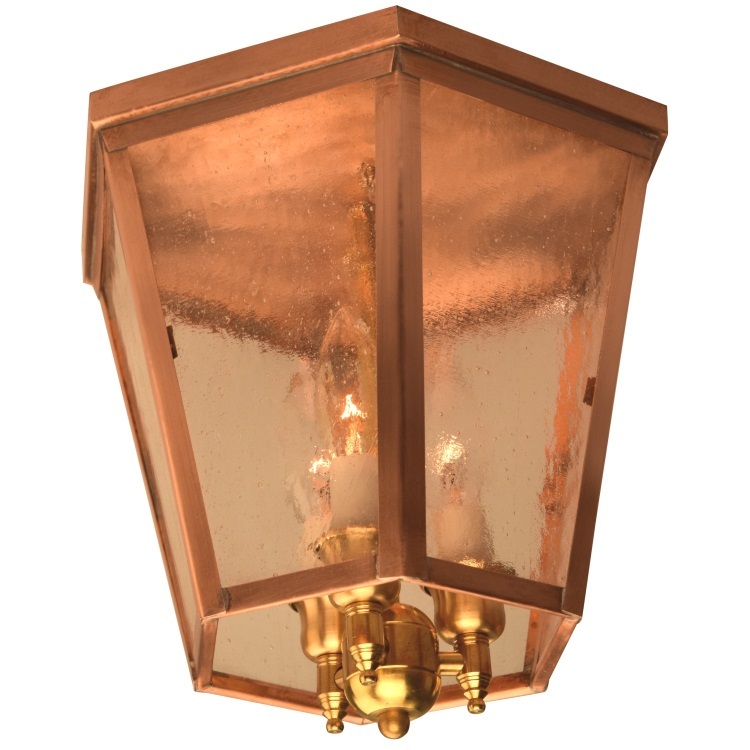 The handmade Annapolis Flush Mount Ceiling Light, shown here in our Antique Brass finish with Clear Glass, is Made in America from solid copper and brass. Designed to last for decades and guaranteed for life, the Annapolis Ceiling Light by Lanternland will never rust or corrode. 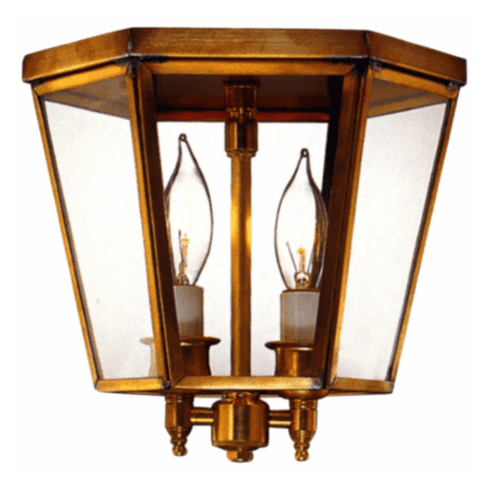 Available in your choice of two standard sizes, eight all-natural hand-applied 'living' finishes and four distinctive styles of glass, this classic Colonial style ceiling light goes well with a wide variety of traditional, Early American, Colonial, and Colonial Revival style homes, lake homes and cabins. 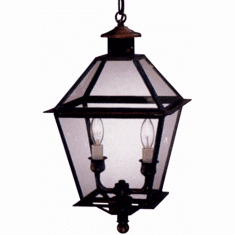 Ideal as a kitchen light, a porch light, a patio light, and entry light, a hallway light or as a mudroom light. 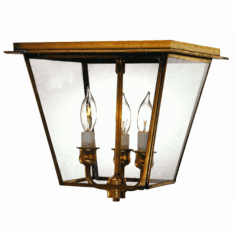 Outdoor Use Yes, approved for damp locations. Use outdoors in sheltered areas that have no direct exposure to rain or snow. Returned merchandise is subject to inspection. 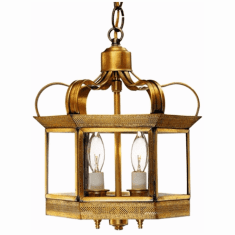 Unsalable or damaged merchandise will be credited at salvage value or less the costs of repair. See “Inspection and Return” section below for details of inspection and return process. Identify or describe the missing/damaged item(s). Before you sign the bill - write "May have concealed damage" If you do not write this on the bill, you are responsible for any damage not noted at the time of delivery. If there is visible damage to the box, you need to open the box and inspect further before signing the delivery receipt. If you suspect internal damage, open immediately! If the driver or agent does not want to allow this, sign the bill "received subject to further inspection"